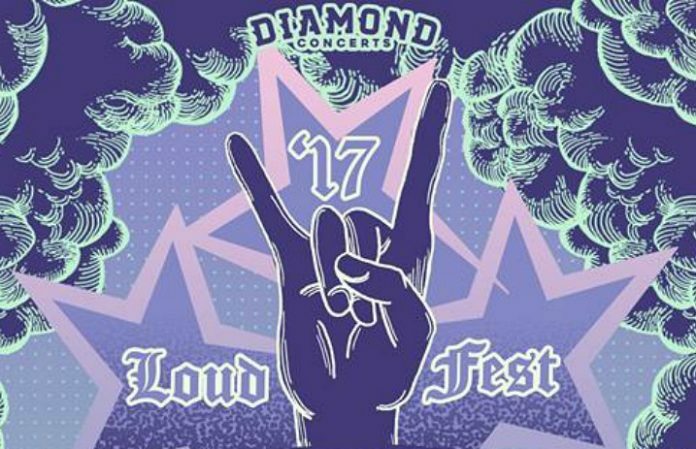 Loud Fest, a New Jersey music festival with a lineup that included Knocked Loose, Jesus Piece and more was reportedly shut down yesterday due to an altercation between security and showgoers. Fans traveled from across the country to attend the all day music festival which was scheduled to run from noon to 11pm. The festival was cut short after an altercation with security forced Loud Fest to shut down and evacuate the venue. According to Howell Happenings Facebook, Chief Kudrick of the Howell Township Police Department confirmed that a large fight involving multiple people broke out but no serious injuries were reported. The HTPD are still investigating the incident. GameChangerWorld and Diamond Concerts released a statement on their Facebook event page, stating the altercation occured between a privately contracted security officer and that the GameChangerWorld security and staff were not involved in the incident. Due to an altercation between a private contracted security officer and a few concert goers, Howell Township Police cancelled the remainder of tonight's scheduled show. GameChangerWorld security and staff were NOT involved in the altercation and supported the Howell Police as needed. Media reports of multiple injuries and transports are fabricated. Howell Police responded to a 911 call and with our staff, we were all able to exit the venue. Any reports of the contrary are not true. GameChangerWorld has never had any problems with any of our crowds over the 4 years we have been in Howell and tonight's incident with our security contractor will be reviewed and addressed so future incidents are avoided. We appreciate the fans and artist support. GameChangerWorld management is cooperating with Howell Police as they investigate the incident between the security officer and the entire situation. Knocked Loose, Jesus Piece, Years Spent Cold, Sanction and Left Behind all came together to put on a free show at Champs after the incident, however those under 21 were not allowed in the venue. No information regarding refunds has been given at this time.